Dothan to Host Fall Fling :: RickeyStokesNews.com! 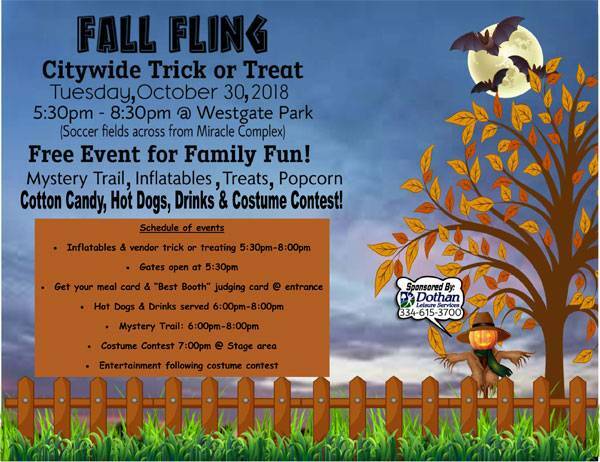 Dothan Leisure Services will be hosting our first ever "Fall Fling" city-wide trick or treat Tuesday, October 30 at Westgate Park from 5:30-8:30p.m. This event will be held on the soccer fields across from Miracle Complex and will feature inflatables, treats, popcorn, cotton candy, hot dogs & drinks, a mystery trail, and a costume contest. This is a free family event, so please make plans to join us for a great evening of fun! 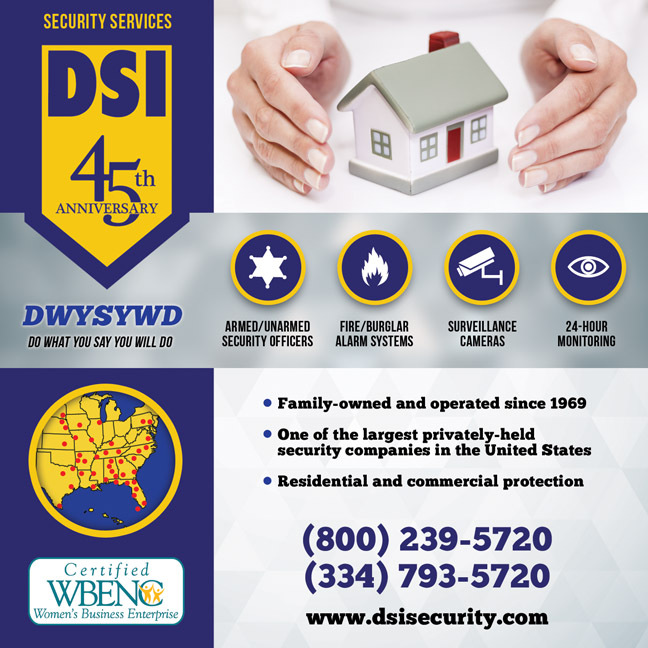 Any business, club, or organization interested in setting up a booth and passing out treats to trick or treaters please contact Dothan Leisure Services at (334) 615-3700.